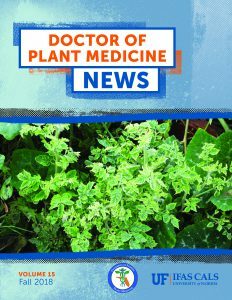 The Fall 2018 edition of the DPM Newsletter has arrived! Many thanks to editor, Alicia Kelley, for all her hard work! The newsletter updates alumni, faculty, and current students on some of the highlights that happened during the Fall 2018 semester. Highlights in the newsletter include an article on our GRACE Grows student involvement, program activities, student accomplishments, fall graduates, and an alumni spotlight! The DPM Newsletter is published during the fall, spring, and summer semesters. The DPM Newsletter was first published during fall semester 2013. For Facebook/blog news contact DPM student Ploy Kurdmongkoltham.